Any defective book or incorrectly shipped book will be reshipped or refunded at our expense. We accept returns of books ordered in error, however the customer must pay return shipping and books must be returned in new condition. Please contact us at info@charveypublications.com to arrange a return. Do you live outside the US? Feel free to email us at charveypublications@gmail.com to get a quote with the least expensive shipping costs. Since there are so many options for shipping internationally, we charge high international shipping costs automatically at checkout, however we will always refund extra shipping costs that are not used. 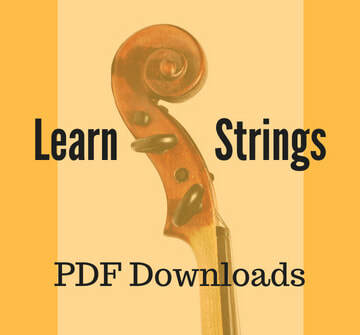 Alternatively, check out our PDF ebook site at www.learnstrings.com. We make every effort to ship orders within 1-2 business days. Note: If you need your order in a hurry, please contact us at charveypublications@gmail.com before you order. Amazon.com can often provide the fastest shipping.